Successfully tested latest script on Windows. Wood fence work normally. Will try install mods. Upd: installed Nether mod, got glowstones. 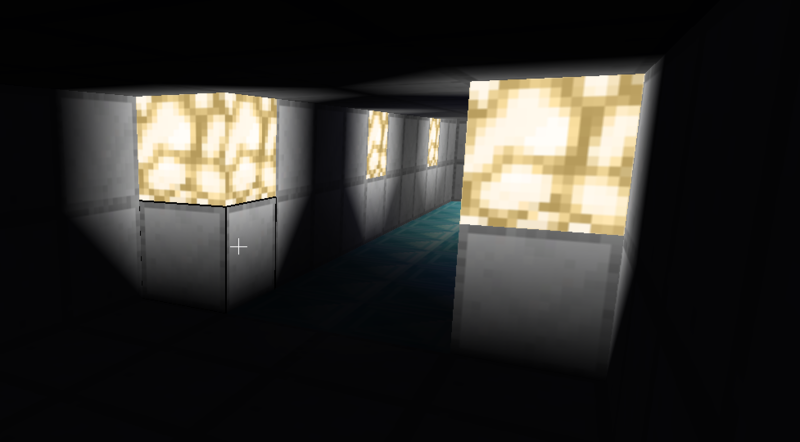 Can I rebuild lightmap from glowstones which was there before? use `/fixlight (x,y,z) (x,y,z) to fix light in a certain region. It's almost impossible to automatically fix light. First off, big thanks to all of you who worked on this really fantastic tool! I've been using it to play around in some converted worlds, and it's pretty nice! Secondly, I recently found a bit of a hacky workaround for the iron bars/glass panes issues. I'm not much of a coder though, and I was curious if there was a way to get mcimport to make this modification for the user? As opposed to doing it manually; or forking xpanes with modifications & making it one of the worldmods needed. Here's 2 previews. The first shows the workaround by itself. And the second, has the workaround + "group:crumbly" added to the 'connects_to' line in the xpanes mod. Just to show how it looks. Can this tool handle conversion of matchless MC blocks to MT unknown nodes? Or better yet, to air nodes? I do not plan to use some of the listed mods from my conversion and would prefer to replace by hand the nodes which do not have a MT mod equivalent. Or maybe I'll take a look through your script and see if it would be trivial to replace home-decor/moreblocks with xdecor. Edit: Hmmm there should be some structures... maybe I'll try a non-flat map? AccidentallyRhine wrote: Can this tool handle conversion of matchless MC blocks to MT unknown nodes? Or better yet, to air nodes? I do not plan to use some of the listed mods from my conversion and would prefer to replace by hand the nodes which do not have a MT mod equivalent. Yea, it won't bother converting unknown nodes. Check out the 'map_content.txt' file for the nodes it uses to convert. You can customize it beforehand to your liking; especially if you're going to hand-select the mods you want to use. That way you can make conversion a bit easier for yourself. In terms of spawning where there's nothing; yea, I've been there. You need to grab the coordinates from Minecraft, as you don't spawn in Minetest where you saved in Minecraft. You'll need to teleport to the coordinates, except; invert the 'Z' axis coordinate. With unlimited view distance, and the right coordinates, you should be able to find the area you're looking for with a little bit of flying around. Thanks for the tips. All seems to be working well, good work Sofar. I use to run some MC servers a while back and there are things I am trying to preserve long term. I equate it to converting old .doc to .odt. Things can still use a bit of tweaking (doors -> doors which are in the base game) so I will go play around with that map_content.txt. AccidentallyRhine wrote: Thanks for the tips. All seems to be working well, good work Sofar. I use to run some MC servers a while back and there are things I am trying to preserve long term. I equate it to converting old .doc to .odt. Things can still use a bit of tweaking (doors -> doors which are in the base game) so I will go play around with that map_content.txt. This is most likely due to your MC save being from an older or too new MC version. The doors from v1.8 are supported and convert properly, other versions are just not tested as I'm working on other projects. Ah, the door issue. Yea, that's due to Minetest Game getting some upgraded doors a while back. If you stick that version of the 'doors' mod into the 'worldmods' folder inside your converted world folder; it'll fix that issue. They're both a WIP, but it's coming along nicely. And, at the very least; is an alternative to try. I did check out MineClone 2. Very well done, however only maintained by a single individual which introduces risk of it falling out of support. My goal with this tool was only to use it to translate MC to Vanilla MT as much as possible. By that I mean: rely on 3rd party mods (which are relatively volatile) as little as possible. ... some various others I cannot recall. ^^^ all reducing the need for fleeting 3rd party mods down to just: Mesecons, xdecor and crops - all of which are very well maintained and have been around for a while. I think some are even in the Minetest-mods github. I honestly cannot wait for some very basic functionality to get pulled into Minetest Game, why oh why do we still need playeranim? AccidentallyRhine wrote: I did check out MineClone 2. Very well done, however only maintained by a single individual which introduces risk of it falling out of support. Some of the map choices are simply historical (vines), some are aestetic. For instance, the xdecor potted plants only offer 4 or so variants, and they largely vary in style too much imho, which is why I ended up with `flowerpots` instead. Xdecor's vines are probably a fine replacement, but I wouldn't remove quartz and nether brick, that's just not a fair replacement especially when people may be converting maps where they have spent a lot of time building with those materials (did you actually make desert cobble fences?) and so they'd end up with a broken conversion. As you said in your initial paragraphs, a lot of people aren't interested in a 1:1 conversion but want a functional MT equivalent, hence this is why I don't maintain a branch or version that converts to MCL2. But I do think it should remain relatively complete, so lapis and quartz should stay. BTW all of mesesons, xdecor and crops are in minetest-mods. Our approaches to replacing nodes simply have different goals in mind. Many of the worlds I have been converting are from old Minecraft servers (Beta 1.5-release1.3~) so they don't even have vines or quartz. It has truly been a joy revisiting these old worlds thanks to your work. 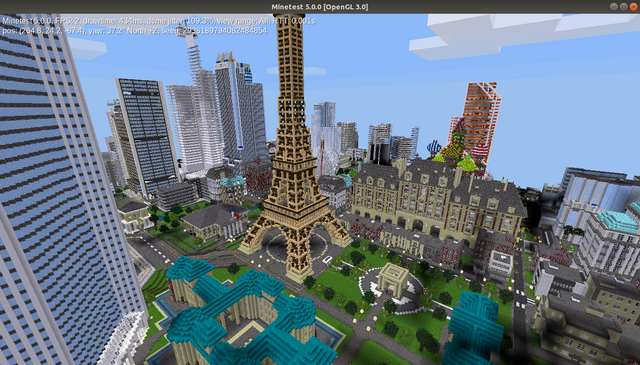 Hello,I try in vain for a few days, to convert a map to be able to use it in Minetest. My O.S. is windows 10, I tried mcedit without success. Is there somewhere, a tutorial of the convert style for Dummies ?? 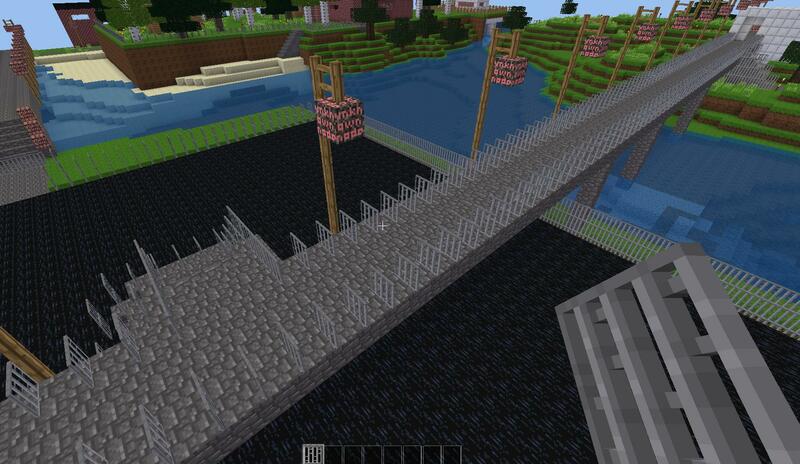 larajtekno wrote: Hello,I try in vain for a few days, to convert a map to be able to use it in Minetest. My O.S. is windows 10, I tried mcedit without success. The best advice I can give you is to install a virtual machine with e.g. ubuntu and try it on that. Getting this program to work on Windows is (1) untested and (2) very difficult, I don't guarantee it will work either. 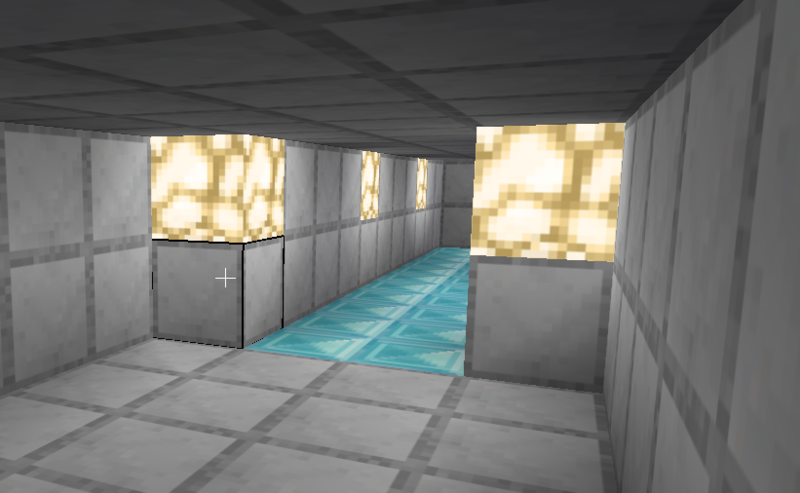 If the MC map is downloadable, maybe you can tell us which map it is, and maybe someone can convert it for you? Dis not havé any answer. Before installing a virtual machine, i would like to have an exemple with a map of my town. Hello, I have converted my MC map and the process has completed without errors. When I play the map in MT it runs ok but the map looks to just be generating freshly as I explore it. I have tried teleporting to places but I can't see a trace of anything that was in the MC map. Is there anything I need to do to stop the map from generating?? miner2000 wrote: Hello, I have converted my MC map and the process has completed without errors. When I play the map in MT it runs ok but the map looks to just be generating freshly as I explore it. I have tried teleporting to places but I can't see a trace of anything that was in the MC map. If you used it correctly, the created world has several `worldmods` that configure the world properly and disable any future mapgen already, by default. I can't see anything wrong with the code and it works when I use it, so I think you're using it incorrectly somehow. Did you make sure you didn't have an old world with the same name? Did you check that the output folder was empty before you started? Did the worldmods get inserted properly in the map? I had to download some mods (mesecons, nether, quartz etc.). you need the `zlib` python module. Maybe `sudo pip3 install zlib` will work for you. That are the available packages from pip search. Which one? Honestly I have no idea, you even are missing setuptools, which is part of python? I really have no clue. Have you tried installing everything from the Mint software manager? I run Mint as well, and that is all I did. All of the deps should be automatically collected and installed.